Newsweek has run details on the unpublished Superman story by Superman co-creators Jerry Siegel and Joe Shuster that will appear in the Action Comics #1000: 80 Years of Superman hardcover volume. Roy Thomas interviewed Marv Wolfman about the find way back when, in Alter Ego Magazine. concerning storied labelled “Written Off”, not to be published for some reason, that were then destroyed. “Several fans and I were on one of DC’s regular Thursday afternoon tours when production manager Sol Harrison came wheeling a huge postal cart past us, filled with ‘Written Off’ artwork, mostly from the ’40s. He was bringing the pages to the building’s incinerator to destroy them; obviously, the small office DC had at the time was running out of space and they had to clear away room. “Sol asked the fans on the tour if we wanted any of the art. As fans, we all knew artwork was important, even if the professionals didn’t. We all dove into the postal cart like Uncle Scrooge into his money bin and took everything we could, then scurried downstairs and traded in the building’s lobby. “I had so many pages by the end of the day that I had to take a cab home from Manhattan to Flushing, Queens, which was very expensive for a kid. I don’t remember if every page was stamped “WRITTEN OFF,” but most were. “The pages we got then were full pages, and uncut. 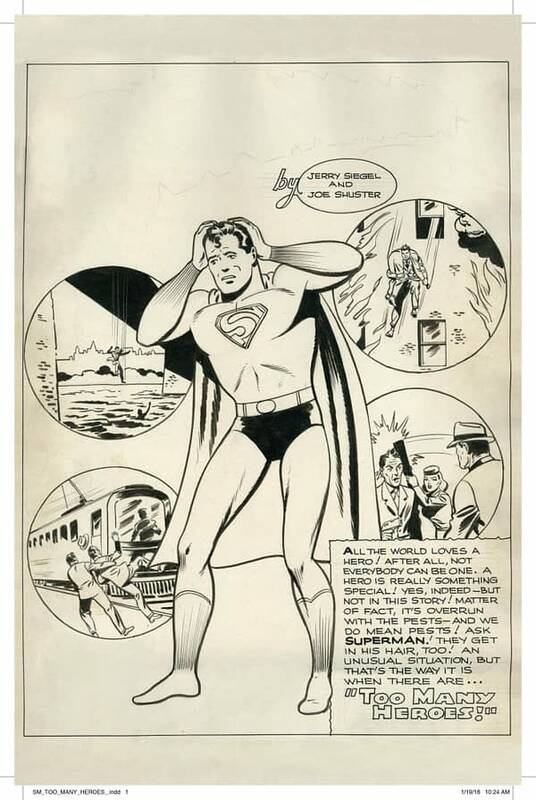 I realized early on that I had gotten almost all the pages of a 12-page never-published Siegel and Shuster Superman story and managed to trade for the other pages. I still have that story and it has never been printed. The pages have “WRITTEN OFF” stamped on them, as well as editing notes which were never corrected in the story. It has an incredibly good splash page with a full-page Superman shot on it. “Later, when I went to work for DC, I went through their library to try to trace the time period of that story. As best I could figure out, it must have been done about 1942. In 1947, I believe, the story was rewritten as a ten-page story and then redrawn by Wayne Boring and was published. Why the Siegel and Shuster version wasn’t used, I don’t know. Most of the artwork that passed through his hands, alas, wound up being destroyed. Among the treasures he specifically recalls having to consign to the flames were pages of Alex Toth art, a Neal Adams Deadman story, and the Gil Kane-drawn origin of the Silver Age Atom from Showcase #34. 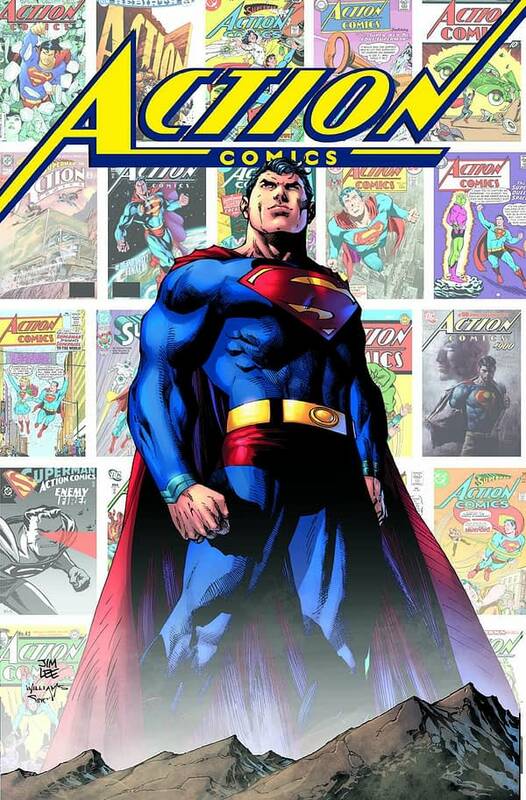 As to Action Comics #1000 hardcover, it will also have a new story by Neal Adams, written by Paul Levitz. In Avengers #688… an Avenger May Die!